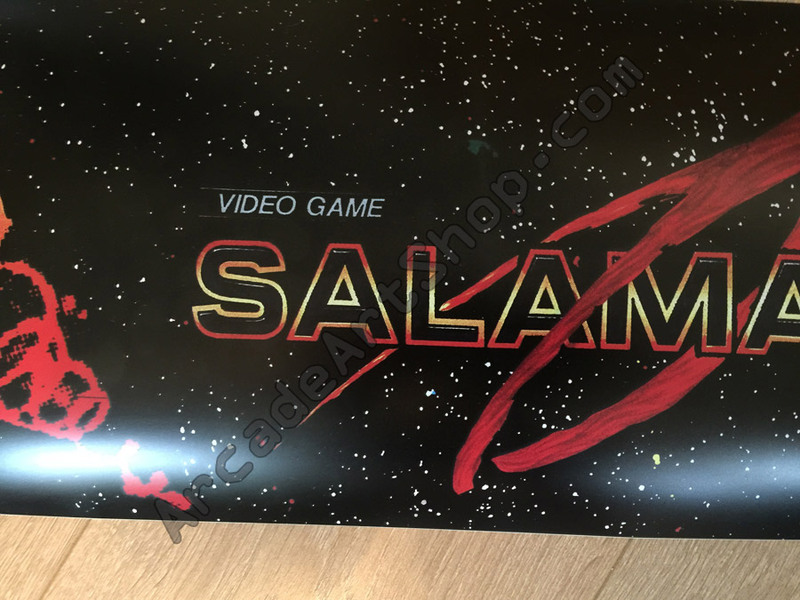 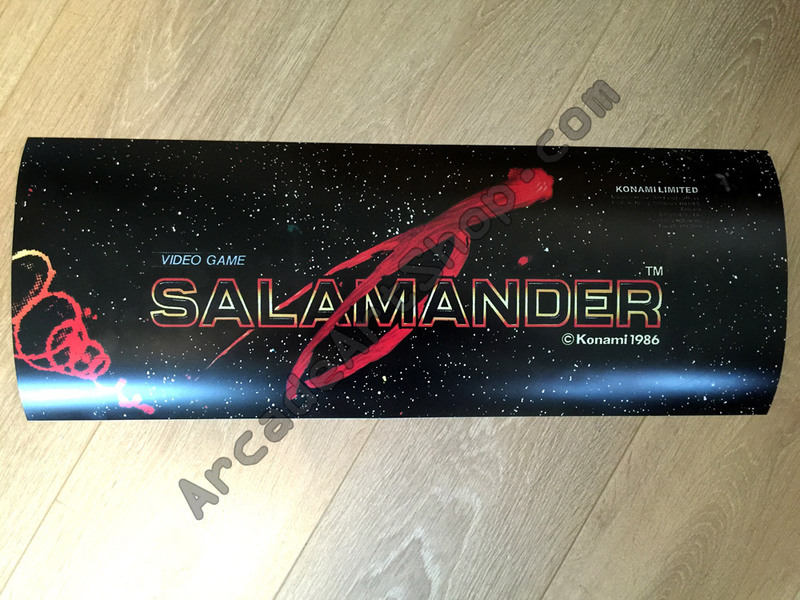 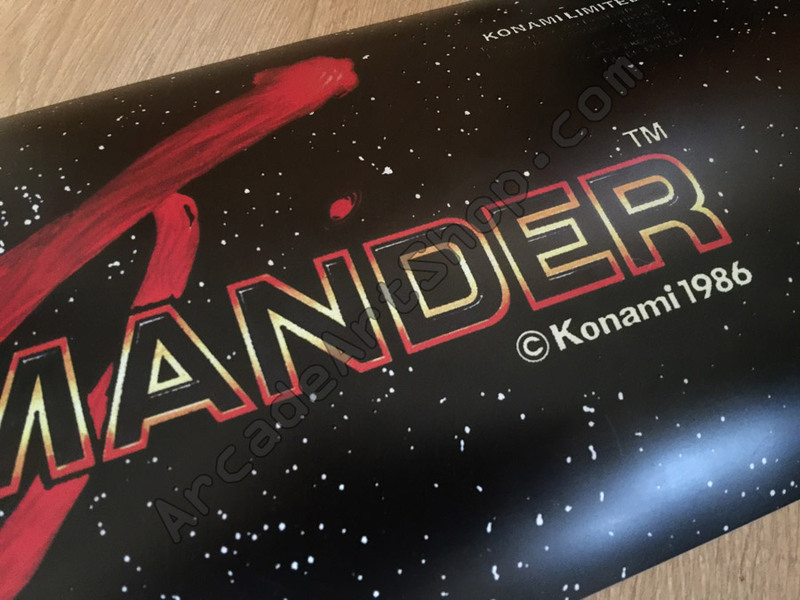 Marquee decal for Konami’s Salamander, as fitted on UK Electrocoin cabinets. 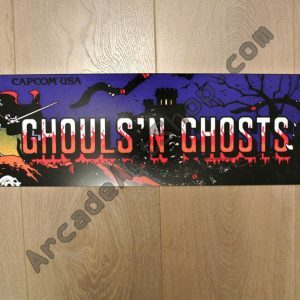 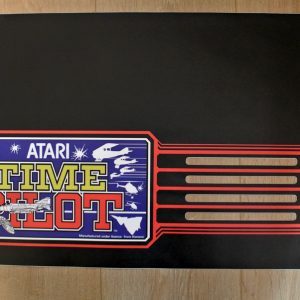 Printed on flexible backlight film as originals were, using highest quality print so the quality is very similar to screen printed pieces. 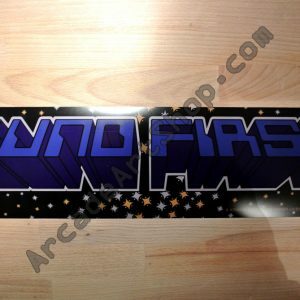 Can be easily trimmed down to smaller sizes as required using scissors or a craft knife.